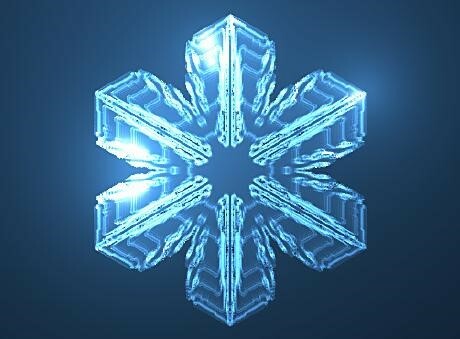 Special Snowflake originates from the early 21st century idea, that every snowflake is distinct from every other one, in terms of the arrangement of the ice crystals of which is it composed. With all the hype in the run up to the millennium – remember all the fuss about Y2K and whether computers would work after midnight on the first day of the new millennium? – it’s not surprising that this age group were expected to shape the new millennium. And shape it they have, but not without ruffling a few feathers in the process. Questioning – and often completely overturning – many of the old accepted norms. Predictably the response to this was for them to be labelled as “lazy, entitled and narcissistic”. Daring to believe they could have it all – and, even worse in many eyes – on their own terms. Which brings us back to expectation versus entitlement. So what is the difference between expectation and entitlement? Expectation is best described as a strong belief that something will happen or be the case. By contrast, entitlement is all about the right to have something. It’s underpinned by the belief that you’re special in some way and so deserve special privileges or treatment; regardless of your particular needs or efforts. As we’ve already mentioned, this particular mindset can be found in any generation (!) not just the Millennials. So why has this been aimed at them in particular? Our take on this would be that this is due to them questioning – and then completely overturning – one of the core beliefs of the older generation. That you have to suffer now to get something better in the future. To be miserable now in the hope of being happy at some later date. And that somehow this is an acceptable price to pay for a brighter tomorrow. An easy example of this in action would be the Millennials approach to work. No longer accepting that you have to go in at the bottom and do a completely mindless job for years to earn the right to do something a little better in the future. Why can’t you, they say, start with a more meaningful job while learning the ropes? Why can’t you be promoted on merit and abilities – even if you’re years younger than your colleagues – and do things in a different way to the norm? Why can’t you be more right brain – and creative – in your approach to work rather than the more traditional logical and left brained approach? With this new belief being diametrically opposed to the prevailing one – that paying your dues was almost like a rite of passage – it’s little wonder that so many people have got hot under the collar about this new approach. The logic goes that because they started at the bottom counting paperclips for years before getting something a little better so must you. However, if you take a step back and look at it from the Millennials point of view, one simple factor is being overlooked. One that’s been present during their entire lifetime, repeatedly transforming it in very short periods of time. And that’s the ever improving technology and its ability to automate – and so make obsolete – many of the tedious and mind numbing jobs offered to those entering the job market for the first time. It allows entry levels jobs to become more meaningful and more interesting, while still learning the ropes. Looked at this way, it soon becomes obvious that – ironically – the problem is one of communication rather than Millennials expecting to be Special Snowflakes. Their different worldview – and beliefs – have been taken as one of entitlement. Instead all they were doing was simply pointing out that a new approach was needed. That it wasn’t necessary to suffer in some way to achieve the desired end result. In the right hands, expectation is a powerful tool. It gives clarity as to what you actually want – the dreaded goal setting the majority of people shy away from –allowing you to start taking steps in the direction you actually desire. Setting your sails, rather than being at the mercy of the tides and currents. And once you’re clear on where you want to end up, it’s amazing how often serendipity steps in; bringing just the right people and events to speed you on your way.